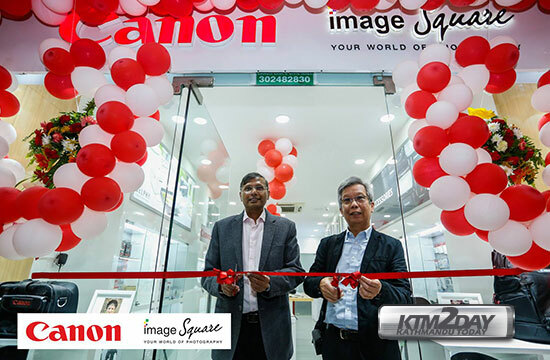 Primax International, the authorised distributor for Canon imaging products in Nepal, has announced the launch of the first Canon Image Square in the country. The showroom is located at Civil Mall Shopping Center in Sundhara,Kathmandu. The event was officiated by Alex Chan, director of Canon Singapore Pte Ltd, as per a press statement. Canon’s Image Square philosophy is to create a personal and fulfilling photographic journey for customers. While online shopping is prevalent, the retail trend has evolved. Consumers are now placing more value on experiences over physical items. Image Square’s knowledgeable sales persons are also on hand to help the customer to get the best experience, be it the joy of photo printing or creating photo memories of his or her life. Since it’s first foray in 2010, Canon has created over 300 Image Squares in 18 countries in South and South East Asia, and, it is growing steadfastly, year on year, with the great support of Canon’s business partners. Primax International, Inc., the authorized distributor for Canon Imaging Products in Nepal has been distributing Canon for over 25 years. 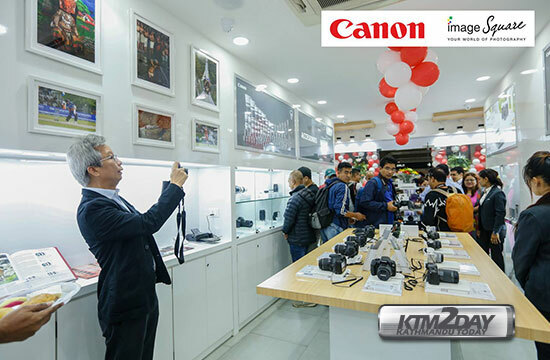 It operates a factory authorized service centre and the Canon Imaging Academy that offers photography classes and showcases photographs of prominent Nepalese photographers. A concept shop like Image Square provides the experiential touch. It allows the customer to try out a wide range of cameras with different features to find the one which best fits into the customer’s life.